The Sci Fi Catholic: Your One-Stop Catholic Shop for All Things "The Golden Compass"
Your One-Stop Catholic Shop for All Things "The Golden Compass"
Okay, people, it's gotten out of hand. I mean, it's a movie for cripes' sake. Not the apocalypse. Not the collapse of Western Civilization. A movie. Probably a sucky movie. I want to make sure we all have that clear. But in case you just can't get enough The Golden Compass, we at The Sci Fi Catholic are here to indulge your rabid tastes, because that's what we do. I'm giving Lucky a break and presenting you with your Monday news, which today is All Pullman, All the Time. Update: Some corrections and additions. New Mega-Update: We have a movie review! The Sci Fi Catholic: First, in case you missed it, I hastily put up my thoughts on the books and the upcoming movie, which you can read here. Over at With a Grain of Salt, Peter has written me a congratulations for actually reading the books before talking about them, which is more than he can say for a number of Catholic bloggers. It's probably only fair to point out that I read them about five years ago before I was even Catholic. I did not grab them up and slog through them just for this movie. I would be quite impressed if anyone actually power-read the whole trilogy just to write a blog post before the movie gets here. Keith Strohm: Keith Strohm of From the Shattered Drum has a good post on why these novels are poor and on why they do not make a good starting point for a discussion of religion. The USCCB: There exists an "official" Catholic review of the film by Harry Forbes and John Mulderig, who write for Catholic News Service. Their review will appear on the official United States Conference of Catholic Bishops website. Readers are encouraged to remember that this review is not an authoritative statement from the bishops and is open to criticism (and come to think of it, would be open to criticism even if it were an authoritative statement from the bishops). As usual with speculative fiction films, the reviewers are unfamiliar with the source material. They glibly pass over the anti-Christian and anti-clerical themes and give little account to what is almost certain to appear in the sequels, such as greater anti-religious content and a sexual encounter between minors. They rate the movie AII--Adults and Adolescents. 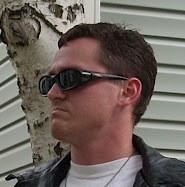 American Papist: Thomas Peters, an energetic and thoughtful Catholic blogger, every once in a while discusses science fiction or fantasy and I usually disagree with him (unlike approximately half the Catholic blogosphere, he does not consider himself a fanboy). Though sf isn't the focus of his blog, he has followed developments on the Golden Compass front quite closely. He offers sharp and thoughtful criticism of the review by Forbes and Mulderig. He encourages "resisting the lure" of the upcoming movie. Amy Wellborn and American Papist: Peters also presents comments on this little item from Amy Wellborn. Apparently, New Line Cinema is encouraged by Forbes and Mulderig's positive review and would like to advertise the films in Catholic publications. Before you shout, "Conspiracy!" remember that New Line is a business and wants to make money, and if they think they can get more money (and perhaps derail a potential boycott) by advertising in Catholic publications, they're going to do it. I see nothing underhanded here; I do, however, see something quite savvy, and I hope Catholic newspaper publishers are wise enough to say, "Thank you, but no." And while we're at it, can we take the advertisements off the back of the bulletin? I think Jesus would kick over some tables and dole out a whuppin' if he saw those. For another account of New Line's attempt to advertise with Catholic publishers, see this article from Catholic News Agency. Amy Wellborn: I have never written a real book review of His Dark Materials because I read them before this blog existed, but Amy Wellborn reviewed them some years back, and you can read her review here. It's good. I don't expect Christians to see God as a metaphor, but that's what he is. Perhaps it might be clearer to call him a character in fiction, and a very interesting one too: one of the greatest and most complex villains of all - savage, petty, boastful and jealous, and yet capable of moments of tenderness and extremes of arbitrary affection - for David, for example. But he's not real, any more than Hamlet or Mr Pickwick are real. They are real in the context of their stories, but you won't find them in the phone book. MTV Movie Blog: MTV obviously is not one of my frequent haunts, but Director Chris Weitz has given an interview on the upcoming movie. He says that people who are boycotting the film don't want to "engage" with "the very subtle philosophical and theological ideas in 'His Dark Materials.'" Problem is, these books contain nothing subtle. They are quite overt, and their philosophical and theological ideas are childish, petulant, and mixed with a number of cheap shots like the poor hygiene of all the priests Pullman depicts. Pullman himself, though sometimes more thoughtful and gracious, from time to time proves just as petulant in interviews. The B-Movie Catechism: The B-Movie Catechism obviously is one of my frequent haunts, and EegahInc there gives an extensive commentary on Weitz's interview. He points out that, in the interview, Weitz admits to reducing some of the anti-religious themes of the novel, but might make them more overt in the sequels. In doing so, however, Weitz would only be following the pattern of the books: in the first novel, the anti-religious themes are less explicit, and the series could still go in a number of directions with ultimately either a positive or negative view of religion. Only in the second novel does the anti-religious preaching begin to overwhelm the storyline. EegahInc also gives some of the most sensible statements I've seen regarding the boycott: everyone has the right to choose to give money to the studio or to refrain from giving that money. [The movie] hasn't been scrubbed of religion, either. While references to "the church" are gone from the film, no one over four feet tall could mistake the Magisterium for anything but an oppressive theocracy. Accusations of "heresy" abound. Buildings often resemble cathedrals [presumably Gothic churches--we all know "cathedral" is not an architectural term, right?]. At one point, Kidman's character, the diabolical Mrs. Coulter, alludes to the story of original sin to justify a ghoulish purification rite that separates children from their daemons. Sounds to me as if the anti-religious content is still present in the movie, and still as brainless as it is in the books. When's the last time you witnessed Christians performing weird experiments on children to cut their souls off? The Catholic League: If you've been reading this and asking, "What boycott are you talking about?" you should know that the Catholic League has called for Catholics to boycott the film. I encourage all my readers to think carefully about whether or not they wish to see the movie. I do not feel I can support the boycott myself, for one simple reason: I am going to write a review of the film, and in order to do so I must buy a ticket and attend the theater. I suppose I could claim I'm some sort of special exception, but I am only an amateur reviewer, so I think seeing the movie while supporting a boycott would swiftly open me to just charges of hypocrisy. Philip Pullman: Subtle and thoughtful man that he is, Philip Pullman has responded to the boycott by calling Bill Donohue and other members of the Catholic League "nitwits," as discussed by David Byers with Times Online. In an interview with Newsweek, Philip Pullman says, "To regard it as this Donohue man has said--that I'm a militant atheist, and my intention is to convert people--how the hell does he know that?" Well, maybe he read this interview, Mr. Pullman, with Thirdway, in which you called certain Christian doctrines "such howling nonsense," though in the same interview you admitted you might be an agnostic. Whatever you are, to get the impression of you as a militant atheist, one would only have to read your novels. And as for the "militant" part, here's another quote from the same interview: "I’m amazed by the gall of Christians. You think that nobody can possibly be decent unless they’ve got the idea from God or something. Absolute bloody rubbish!" Not quite correct: the Christian claim is that everyone's desire to be decent ultimately derives from God and is present in us as what is called "Natural Law." The Christian objection to atheism is not that atheists are incapable of decency, but that in atheist philosophy the desire for decency has no ultimate source and therefore no ultimate authority; without this authority, society has no basis for condemning an individual for being indecent. Philip Pullman demonstrates this nicely in The Amber Spyglass . One moment, he is killing the Authority, and the next moment, he is setting up an absolute moral standard, yet the standard he sets up has no basis other than sentiment. According to Julian Joyce with the BBC, Pullman has claimed, "I am a storyteller. If I wanted to send a message, I would have written a sermon." To that, I can only reply by asking, "Then why are there so many sermons in these novels?" John C. Wright: As sharp-tongued and talented as he is, the formerly atheist and now Christian sf writer, John C. Wright, might be called the Anti-Pullman, just as Pullman is sometimes called the Anti-Lewis. John C. Wright is most displeased with Pullman for answering his critics. As Wright puts it, "I answered a critic once: it was a foolish thing to do, and I lost honor for doing it." He also goes on to say that Pullman is dishonest for claiming he does not preach in his novels. In an angry (yet always eloquent) rush, Wright points out exactly how sermonizing destroys these books. I highly recommend reading Wright's discussion. Christianity Today: Also recommended is Jeffrey Overstreet's thoughtful, intelligent, and most importantly, calm discussion, "Fear Not the Compass," with Christianity Today Movies.com. He suggests, wisely, that banning the books makes them alluring to children. He indicates, and I wholly agree, that thoughtful reading is usually preferable to avoiding books because of controversial content. Jimmy Akin: "Philip Pullman is a liar."